Nine female inmates at Chichiri Prison have registered to sit for next year’s Malawi Certificate of Education (MSCE) , prison officials have confirmed. Five female inmates break records. The nine are the first female inmates to sit for the exams since education programs were introduced in Malawi’s prisons. Deputy public relations officer for Malawi Prison Service, Julius Magombo, has described the development as an achievement considering it is the first time for female inmates to sit for MSCE examinations. “It has been a challenge to female inmate to sit for national exams due to lack of resources,” said Magombo. However, Centre for Human Rights Education Advice and Assistance (CREAA) Executive Director, Victor Mhango, said the number is insignificant but government should own the education system in the prisons of Malawi. “Also corperate world must sensitise awareness campaign in all prisons for the number to increase,” said Mhango. 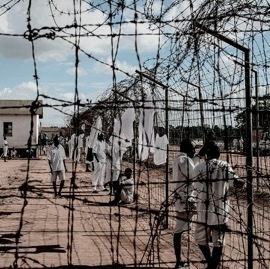 Malawi Prison Service has 173 teachers and 115 are volunteers. Then you say “gender equality”. Why highlight the obvious. Females are part and parcel of Malawi Nation. It would made news if they were denied the chance to write exams bacause they are females. I dont see anything there, becoz when they excel, they will be blocked to university. So whats the history there ? That is good rather than just keeping them inside hence now they r going to forgot how to steal, robbing etc they will just concetrate to their career. Keeping people in prison without giving them freedom is just encouraging them to go out and steal again, why i say so? the more they stay inside the more they are creating influencial factors outside. muziwakana kupita ku university…. stupidity at its best….